The popularity of roof sheets is increasing, due to several reasons. To begin with, the panels are a lot cheaper than traditional roof coverings. Moreover, they are easier to install and you can even buy them with integrated insulation. Cherry on the cake: they cannot be distinguished from classic roofing materials like slates and roof tiles. In this article, you can find a survey of all roofing sheets and their properties. 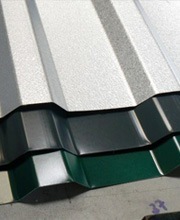 Do you want to install roof cladding sheets? Receive quotes from roofers for free. Since a couple of years, trapezoidal sheets (also referred to as box profile roofing sheets) are very popular: they have even beaten corrugated roof sheets. They mainly owe their popularity to the fact that they have the cheapest production process. Next to that, they can be installed waterproof thanks to their straight finish. Trapezoidal sheets are available in every colour and with an anti-condensation film. Some firms also offer various coatings, depending on the required strength. 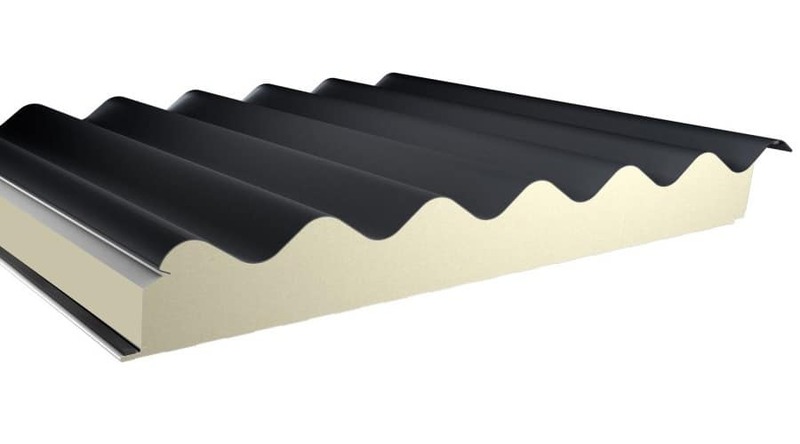 For many years, the corrugated roof sheet was the undisputed king when it came to roof finishings. They were made of asbestos, which is prohibited now as this substance is harmful to our health. However, you can still buy these sheets today in plastic, aluminium or bitumen. Aluminium panels are most valuable since they cannot rust or pulverise. As for the price, they often cost three times as much as plastic or bitumen roofing sheets. On the other hand, the aluminium sheets also last five times as long (at least!). 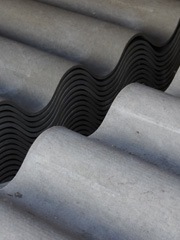 Corrugated roof sheets made of bitumen or plastic will last about 15 to 20 years. If you consider installing roofing sheets on a house or outbuilding, it is best to choose a sheet with a roof tile pattern. From a distance, these look similar to real roof tiles and they give your house more character. Large roof sheetings with straight lines will make your house look smaller and cheaper. 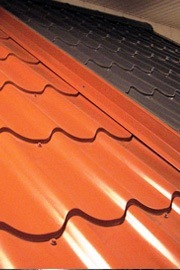 Roof sheets in the shape of roof tiles are available in many colours, just like the cover plugs for the screws. You can choose from a very wide range of roofing sheets with different looks and insulation values. In order to determine an average cost per square metre, you should first decide which sheets you want to buy and whether they should be insulated. Insulated roofing sheets are often used to insulate garden houses, outbuildings, large sheds and stores. The installation is done very quickly and the roof is neatly finished on both the inside and outside. In case of traditional houses, insulated sheet roofing materials are less appropriate since the finishing looks rather industrial. If you insulate the inside of the roof afterwards, you will save some money and get a better insulation value as well. You can then choose a finishing which meets your needs. The price of insulated roof sheets is determined by three big factors: the construction, the insulation value and the finishing layer. On average, prices range between £50 and £200 or more. Therefore, you would be well advised to compare prices from different specialists. If you have the opportunity to insulate the roof from the inside, you can also request a quote for this job right away. In this way, you will have a clear image of the total costs. On our quote page, you can request quotes from various roofers in your region. This service is completely free and noncommittal. Click here to receive quotes.